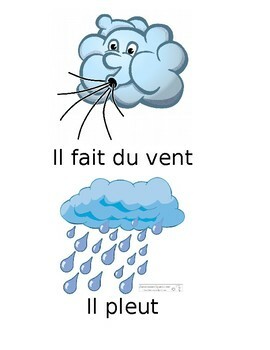 Use these FREE weather flashcards to teach weather words in French or hang them up in your classroom for reference! 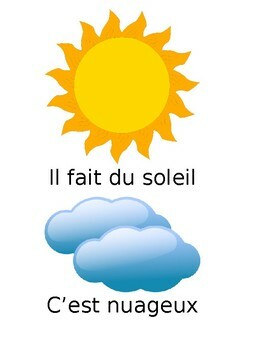 Promotes discussion in French about the weather. 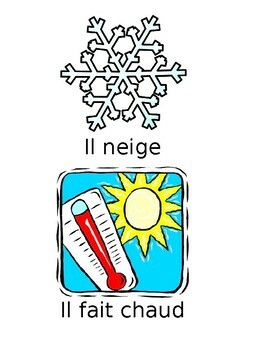 A simple daily activity that gets students speaking en français! 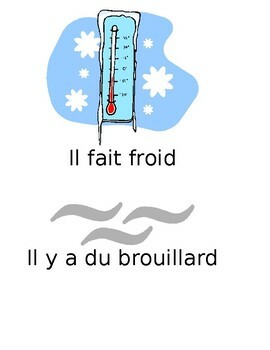 Guiding question: "Quel temps fait-il aujourd'hui?" Teach "Comment ça va?" using the bonus flashcards included in this resource! A great addition to your French class's entry routine that will get students speaking en français! Guiding question: "Comment ça va?"